Very easy to use. You just need to drag photos, videos and music to the software, click "Burn DVD" button and the Video-DVD is ready for you to play on big screen TV with a regular DVD player. Integrated with DVD burning function, burn a photo slideshow video DVD couldn't be more easier with Slideshow DVD Creator. All you have to do is to add photos, movie clips and music, then click 'Burn DVD' button, this software will create a standard DVD-Video disc so you can play on TV with a regular DVD player. Support DVD menu. With built-in DVD menu templates, you can create an eye-catching Hollywood style DVD-video disc for wedding, birthday party, holidays in minutes. Support both photos and videos clips. You can merge short video clips with photos to make a eye-catching DVD-Video disc easily. Encode photo slideshow to HD video as MP4 or MOV file. So you can upload the video file to video sharing website or play on HDTV by copying to a USB drive. Dozens of transition effects to choose from. Your photos will be turned to a live show without any additional work. You can choose one transition effect for each individual photo or let the software pick one randomly while play back. Sync music and photos automatically. With this feature, you can build a slideshow with music easily. The slideshow duration will adjusted to the same length of background music. Preview slide show lively before burning a DVD. Support DVD+R, DVD-R, DVD+RW, DVD-RW. No photo quantity limitations. 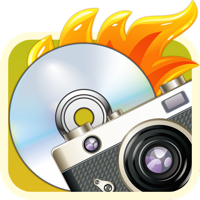 You can burn a couple of dozen photos or as many as one thousand photos into one disc. Very intuitive software interface, you can burn a photo slideshow video DVD in minutes without any help.